With this kit you can make mozzarella cheese in just 30 minutes. Everything is included except for the milk. As a bonus, a booklet teaches you to make a delicious, rich & creamy ricotta cheese, too. Enough ingredients to make approximately 40 one pound batches of cheese. Technically ricotta (pronounced ri-Kot-ta) is not really a cheese but a cheese by-product. The word ricotta literally means 'recooked', and it describes the cheese made when whey, the watery residue from the making of another cheese, is cooked again. 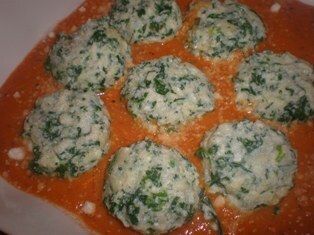 The whey is generally drained from such cheese as mozzarella, provolone, or similar cheese. Ricotta romana is the type of ricotta that we are most familiar with in the US. Originally, ricotta was made solely from the whey remaining after making pecorino, ewe's milk cheese. Although some of it is still made that way, nearly all ricotta is made from whole or skimmed cow's milk. The cow's milk is heated and citric acid is added to encourage destabilization and separation. 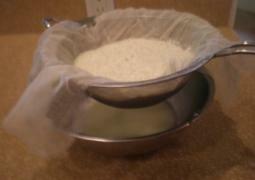 The temperature of the mixture is increased and the proteins from the whey separate, rise, and coagulate. These proteins are skimmed off and put in a wicker basket to drain for 2 days after which the ricotta is ready for market. The resulting product is milk white, very soft, granular, and mild tasting. Ricotta is naturally low in fat, with a fat content ranging from 4 to 10%. It is lower in sodium than cottage cheese. Ricotta is a good source of calcium. One-half cup of ricotta provides 42% of the recommended daily requirement of calcium. The origins of ricotta reach back into Latin and Mediterranean history. It is believed to have been created in the Roman countryside as travelers cooked their food in big kettles over open fires. The product was cooked twice to extract the cheese from the buttermilk. Most of the ricotta that we purchase comes in plastic tumblers in the dairy section of the supermarket. It is worth seeking out a good ricotta in a cheese shop or a food store with a specialized cheese department. There you will find ricotta that is sold loose and will be cut from a piece that looks as though it had been unmolded from a basket. Usually it is not only fresher than the supermarket variety but is less watery. 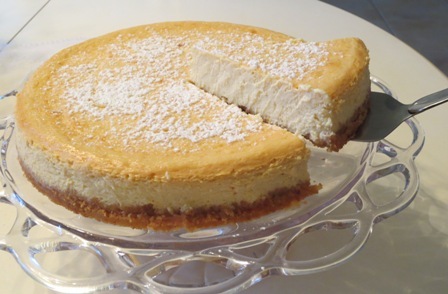 If you are using ricotta in baking this is an important consideration. Ricotta is highly perishable. It should always be refrigerated, and once opened, used within one week. Ricotta is also processed for longer life in three ways: salting, baking, and smoking. contain not more than 80.0% moisture and not less than 11.0% milkfat. The cheese is manufactured from milk with reduced milkfat content, and the finished product shall contain not more than80.0% moisture and less than 11.0%, but not less than, 6.0% milkfat. 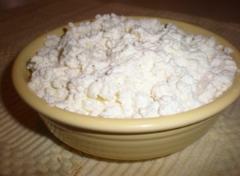 This is a sheep's milk ricotta to which salt has been added as a preservative. The liquid is pressed out and the solids are compacted into rounds, enabling it to be cut with a knife. It's texture is crumbly but firm. Ricotta salata can also be air cured or dried in an oven to render a sharp-tasting cheese reminiscent of the flavor of romano. It is a milky-white hard cheese used for grating or shaving. Ricotta salata is sold in wheels and decorated with a delicate basket-weave pattern. Ricotta Informata is produced by placing a large lump of soft ricotta in the oven until it develops a brown, lightly charred crust. Sometimes it is allowed to become sandy brown all the way through. 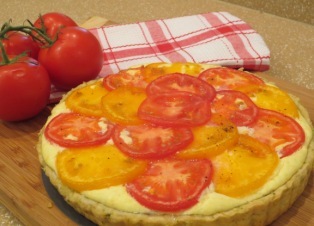 This variety is popular primarily in Sardinia and Sicily, and is sometimes called ricotta al forno. This variety is similar to ricotta informata. It is produced by placing a lump of soft ricotta in a smoker until it develops a grey crust and acquires a charred wood scent, usually of oak or chestnut. Ricotta scanta is produced by letting fresh ricotta do sour for about a week. It is then stirred every 2-3 days, salting occasionally and allowing the liquid to drain. After about 100 days, the ricotta is the consistency of cream cheese. It has a distinct, pungent aroma, much like blue cheese. Ricotta scanta tastes as it smells, extremely aromatic and piquant. It has a definite bitter note that is said to taste "hot" to the tongue.